Reclining feature is somewhat cheesy but still functional. I appreciate the bigger canopy. It also feels more sturdy as I maneuver through. Overall, Iâ€™m glad Iâ€™ve upgraded. I absolutely love this product!! I made this purchase for a trip to the zoo with my 2 yr old. Selling feature was how compact the stroller folds. The folded stroller is very light and easy to carry. I bought this model because I like how the back of the stroller reclines. This was perfect! My toddler took a nap in it reclined back while we pushed her around the zoo. 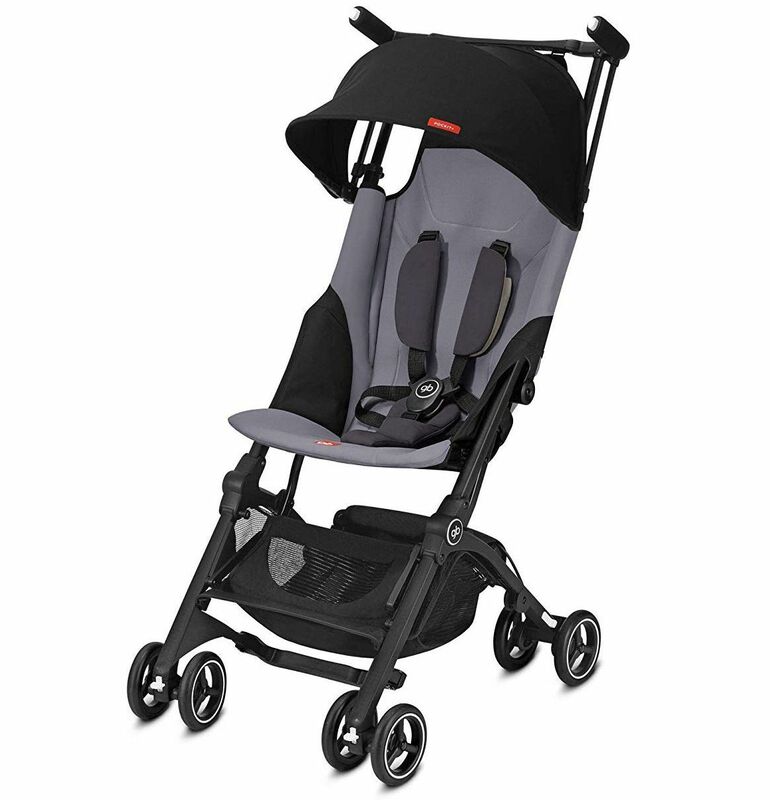 The stroller is light and easy maneuver. It may take some practice to get use to folding and unfolding. At first folding down was easier than unfolding. Once you get a hang off it you will be showing still stroller off like a pro!! I highly recommend this stroller it was worth the price. Great quality, folds up tiny and Reclines as needed. This is awesome I wish I would have ordered it sooner. 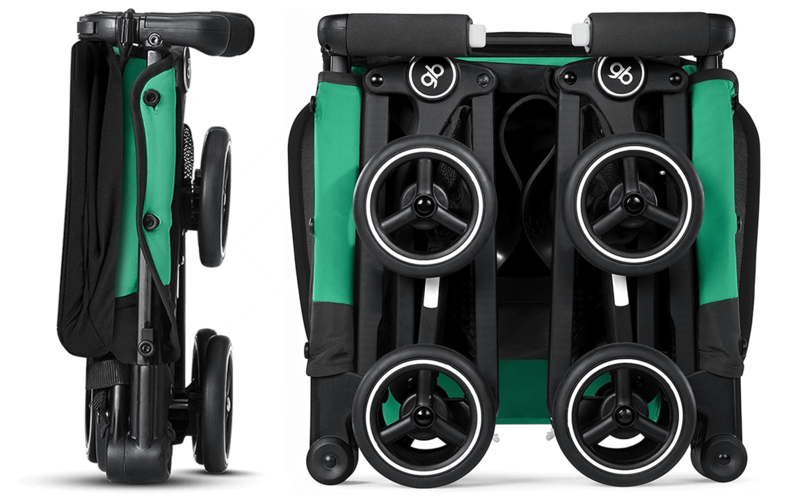 This very compact stroller is great for what it was potentially designed for: traveling. 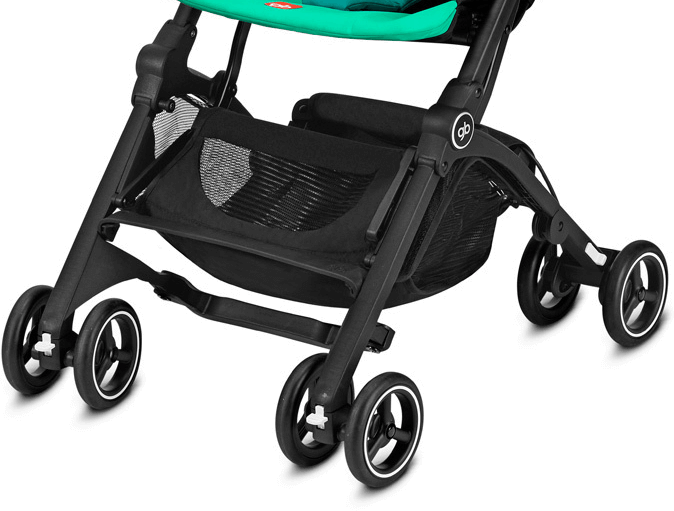 You canâ€™t expect the same performance as the full sized stroller from like Bugaboo, Nuna, etc. Especially the wheels and also the overall kind of shaky construction are not made for an everyday use. 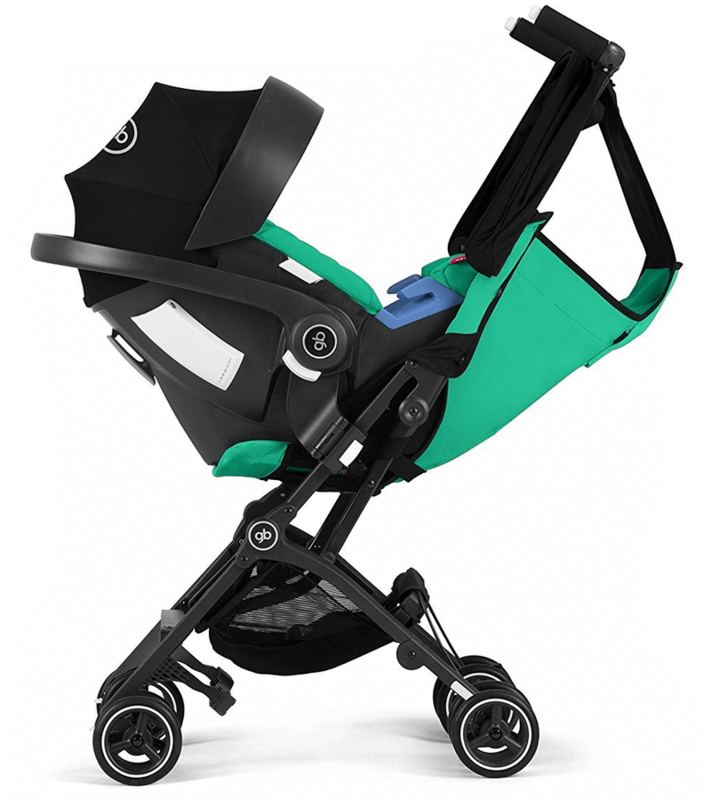 At the same time the stroller is extremely compact and reasonably lightweight which makes packing it super easy. Unfolding and folding actually requires a bit of practicing but after a while is also very easy. ProsVery compact and lightweight travel stroller. ConsSun shade doesn?t cover very much, so the child?s face very often is in the sun. Kind of shaky construction. Not very comfortable for the child when in there for longer times (like e.g. all day). Excellent product. Easy to fold. The only issue i found is that it is not very light. I was so excited to receive this stroller so quick - I purchased for my Grandson, knowing he was getting a little too heavy for the carrier. I love this stroller for many reasons and feel it is ideal for what I need it for. The weight of the stroller is ideal and a really good reason to have it. The fact that it folds so compact is amazing and my main reason for purchasing it. ConsThe Travel Bag wasn’t included - it was very hard to locate it The foot bar wasn’t as strong as I expected it to be. The hood does not cover fully. The stroller needs to lay flatter for the child to sleep / rest better. The basket needs to be larger. I had the older version of this stroller but lost it on a trip. After a lot of research on small, lightweight strollers at different price ranges, I ended up buying another Pockit. The size canâ€™t be beat, Iâ€™ve taken it on plane trips and it fits right under the seat. Itâ€™s also great for trips to any city where you have to get on public transport and need to quickly fold up the stroller and go. The upgraded version is slightly heavier than the original but seems much more comfortable with the extra padding and features. The weight limit is also a plus, there arenâ€™t that many strollers that go up to 55 lbs. I have a tall toddler who is too heavy to carry for any extended period of time so a stroller is critical and this one has been great! A must have to travel with! The seat seems comfortable and spacious for my 2yr old. The way it folds up so compact is worth the money. It took me a little bit of time to practice opening and closing the stroller,but it wasnâ€™t too bad. We bought this stroller to take on vacation with us. I have taken it out a few times to try it out, and really like it so far. I wish it had some suspensions for a smoother ride, but overall I think it's great. With a gb or CYBEX infant car seat, the Pockit+ turns into a 2-in-1 travel system, suitable form birth (adapters required; sold separately). A comfortable, multi-adjustable back-rest meets the need of every tired child. From upright to reclined positions, the recline strap at the back of the seat unit allows for easy, customized adjustments of the seat angle. Agile and effortless, swivel wheels make navigating busy streets and turning corners easy. They can be locked for stability on uneven surfaces. Folds down into a tiny package, and stands on its own when folded. 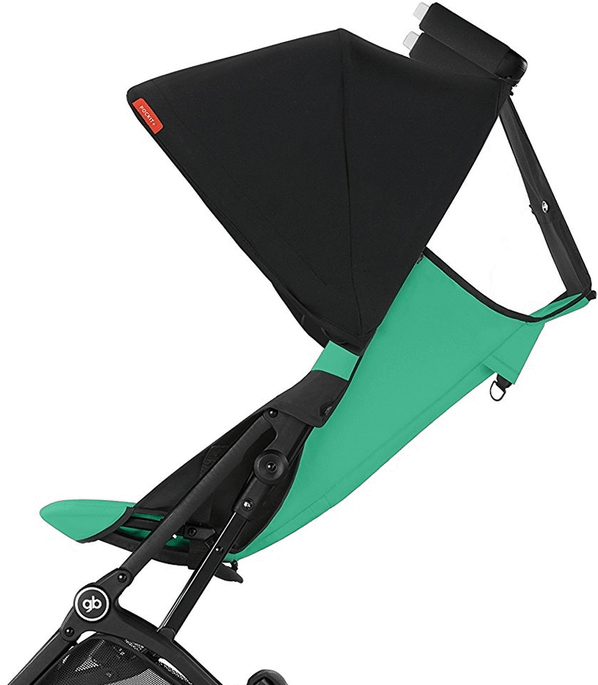 With a gb or CYBEX infant car seat, the Pockit+ turns into a 2-in-1 travel system, suitable form birth (adapters sold separately). The Pockit+, just like it's younger brother the Pockit, self stands when folded. Perfect in restaurant or for upright, space saving storage at home.